Tai Chi is a powerful ancient practice that keeps the body healthy and strong, and yet most anyone can do it, regardless of existing physical conditions or limitations. Helping to integrate the mind, spirit and body, there really is no other practice quite like it; it is unlike anything and yet, it compliments everything. Tai Chi continues to amaze me, there are seemingly endless layers to Tai Chi. I like to compare it to a deep well where, the deeper you go, the more layers and precious substance you find. Tai Chi means the Grand Ultimate and refers to what in the West is called The Yin Yang symbol. In China it is not the Yin Yang it is the Tai Ji, containing components Yin and Yang of course. The Grand Ultimate reveals a philosophy of mutually dependent contrasting forces of Yin and Yang and physically practiced and expressed through the moves of Tai Chi Chuan. 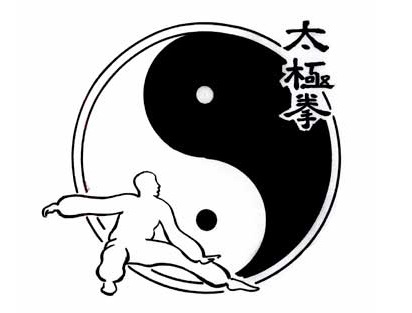 In Chinese conceptualization the Yin and Yang are the main components in the Tai Ji symbol. Tai Chi Chuan is the Grand Ultimate Long Form of self-development, of individuation. Tai Chi, the world’s most widely practiced martial art, is the “grand ultimate” martial art — but its grand ultimate quality goes beyond its practice as a martial art. Tai Chi is the most efficient form of self-development in total; for healing, for strengthening, for grounding, for cleansing your energy field, for consciousness expansion, and for potentiation. A powerful combination of meditating arts, exercises, movement arts, and healing arts, Tai Chi is the grand ultimate broad form of individuation. Some would argue that Tai Chi is undeserving of its “grand ultimate” status. Tai Chi is not the best at building strength but it is comparable to lifting weights; it is not the best at developing flexibility but it is comparable to yoga; it is not the best at healing but yields comparable results to modern medicine; it is not the best exercise for cardiovascular health but it is comparable to jogging; it is not the best form of meditation but it is highly efficient at developing and maintaining a meditative mind state; it is not the best way to expand your mind but it certainly expands physical and mental capacity. Tai Chi is the grand ultimate practice for individuation not because it is the best martial art, or the best consciousness practice, but because it betters our entirety without focusing on any particular avenue – and as science continues to prove, provides wide ranging benefits, from enhanced consciousness to cardiovascular health. Occasionally I am lucky enough to practice other Tai Chi, martial arts and Yoga modalities with which I am not familiar, and I always feel humbled doing so. Sometimes I am confused – and I love it! I have learned to embrace confusion and the humbling experience of learning new movements as a tangible way to expand my physical and mental potential. The confusion also reminds me of when I first learned Tai Chi — the confusing fun! Embrace it. Through this confusion, we experience self-doubt, and from overcoming our initial lack of capability comes empowerment, expansion and understanding. Consider the following expressions as they apply to practicing Tai Chi, and to learning anything for that matter. When we put these two concepts together, we can see that knowing ourselves is not mutually exclusive to developing ourselves but that each go hand in hand. You cannot know yourself without developing yourself — and learning is the best way to do so, in balance and for balance. Sadly, many people would rather not learn, would rather not face confusion, would rather not leave their comfort zones, and would rather not admit to themselves or others that they were not right, let alone wrong. To overcome these self-imposed limitations, we must realize that doubting ideas and even our own capabilities is a healthy part of development. We must become novices, like children, in order to learn new skills and have experiences that expand us; and we must realize that doubt, not judgment and scorn (of ourselves or others) is part of expansion. While it may seem counterintuitive, being confused and doubtful is an inherent part of the development process — particularly one like Tai Chi, which incorporates all aspects of all arenas. Once you realize how beneficial confusion (and the palatable frustration it can create) can be, you begin to seek it out. The very thing that frustrates would-be Tai Chi practitioners is the very thing that practitioners seek out after learning to practice a form without shadowing and with immersion into the Tai Chi flow. Peace on earth, for real though. The Tai Chi Pill is a Tai Chi lesson that will help you to help yourself. It contains principles, practices and philosophy to enable you to change patterns and enhance the quality of your being. The Tai Chi pill is an easy to swallow Tai Chi lesson for beginners, with practices and principles which enable you to take Tai Chi into your world without learning a long form. The Tai Chi Pill also contains philosophy that long time practitioners will find applicable to their own practice. The Tai Chi Pill is available on Amazon. You can connect with Ethan on Facebook, check out his author page on Amazon, or visit his websites, Geometry Of Energy and Meditation 108, where Ethan offers lessons on individuation, meditation, the conceptualization of energy, and the metaphysical significance of 108. Meditation and Geometry for The Youth: A short and sweet book to introduce young people to meditation and sacred geometry, in a simple format for the youth and youthful alike. Which will come first–Israeli elections or Trump’s ‘ultimate peace plan’ rollout? LEARNING IS THE OPPOSITE OF CONFUSION. Clarity is what learning imparts,not confusion. What are the facts? The Tao is a con game. magic religion nonsense. Sometimes they call it Tao. Sometimes they call it god. by people claiming special knowledge called confusion.